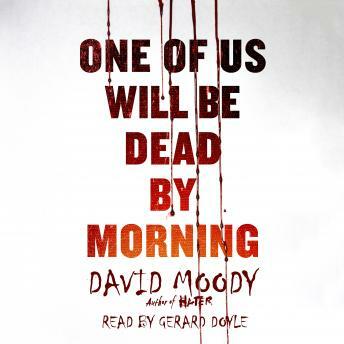 In One of Us Will Be Dead by Morning, David Moody returns to the world of his Hater trilogy with a new fast-paced, and wonderfully dark audiobook about humanity's fight for survival in the face of the impending apocalypse. Fourteen people are trapped on Skek, a barren island in the middle of the North Sea somewhere between the coasts of the UK and Denmark. Over the years this place has served many purposes-a fishing settlement, a military outpost, a scientific base-but one by one its inhabitants have abandoned its inhospitable shores. Today it's home to Hazleton Adventure Experiences, an extreme sports company specializing in corporate team building events.